Hand-crafted by skilled artisans, the Parigi 6 Chest of Drawers by Rugiano is a versatile design that suits a wide range of property styles. The chest features a plinth base created using high-quality lacquered or ebony wood. Steel or bronze detailing adds a luxurious touch to the chic bedroom storage. 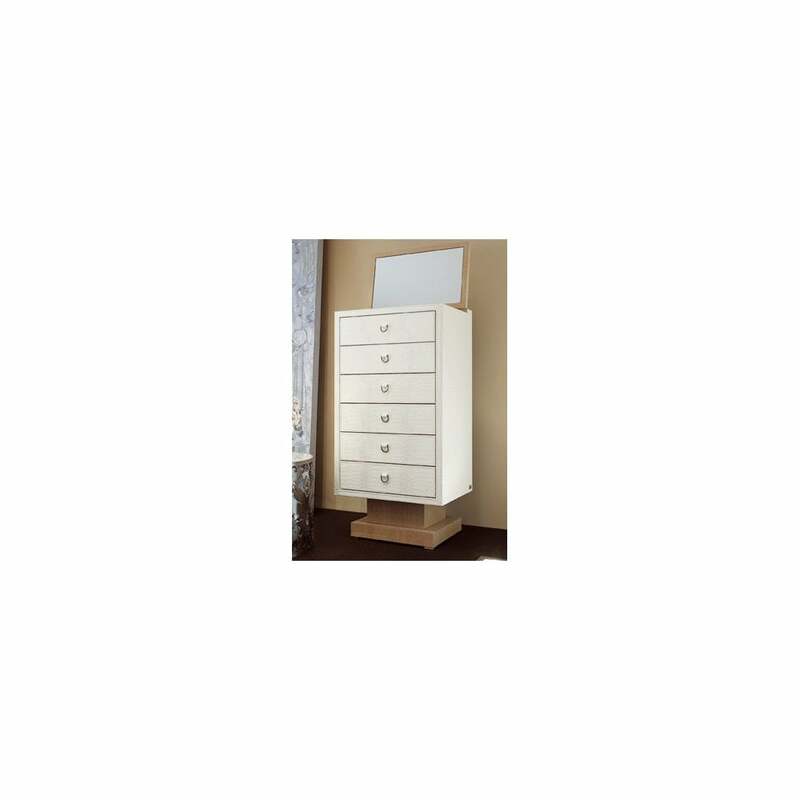 Ideal for smaller spaces, the tall frame is fitted with six deep drawers perfect storing clothing, stationary and accessories. Are you a beauty addict? The clever design includes an in-built mirror which you can use for getting ready in the morning and evenings. Choose contrasting finish options for added visual interest. Available in a variety of colours and leathers, get in touch with our team to discuss further.